Keep your parrot healthy with a good diet of pellets and fresh foods. Parrots may be part of your family for your whole life, so keeping them healthy is important. Part of keeping your feathered friend around for a long time is feeding him a healthy diet. 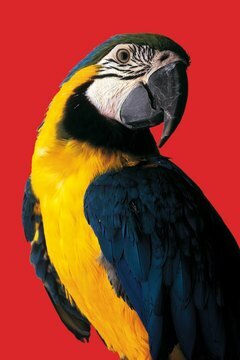 Fresh fruits and vegetables, home cooking and quality parrot food can keep your parrot feeling good. The most important part of any parrot's diet is the food that he gets every day. At most grocery stores or large pet stores, seeds dominate the parrot food aisle. But seeds are the junk food of parrot diets. Birds love seeds, but too many can cause serious health issues. It's important to pick a healthy staple food for your parrot. Some veterinarians recommend that 60 to 80 percent of a parrot's diet should be quality pellets, which will provide the basic vitamins and minerals that your parrot needs. Fresh veggies are an important part of your parrot's healthy diet. Green leafy vegetables like lettuce and spinach are great options. (Though very nutritious, spinach binds with calcium and can actually remove it from your bird's body, so if your parrot eats a lot of spinach, make sure she has a good source of calcium to make up for it.) Leafy vegetables are loaded with vitamins and are low in fat. They can be fed raw or lightly cooked. For an interactive snack, try hanging the leaves in your parrot's cage. Broccoli and carrots are also healthy vegetables to give your parrot. Both are great treats to give raw or slightly steamed. Many parrots enjoy carrot or broccoli matchsticks or broccoli slaw, which are all easy to find in the produce section of most grocery stores. Other good vegetables to offer your parrot are cooked sweet potatoes and squash, green beans, corn and sprouts. Most parrots love fresh fruit, and it's as good for them as it is for you. As with people, parrots should eat fruits in moderation, since most contain a lot of sugar and vegetables generally have more nutritional benefits. If you feed your parrot fresh fruit, choose the kinds that offer the best nutrition. In general, the darker the fruit, the better it is. Berries like blueberries and raspberries provide a lot of vitamins and can also encourage good foot exercise, since most are small enough for parrots to pick up. You can also try hiding a few berries inside a small paper towel roll or box to encourage your parrot to use his brain to find his treat. Bananas are also fun and nutritious fruits for parrots. Many parrots will enjoy holding pieces of banana in their toes. When preparing fresh fruits for your parrots, be sure to remove any seeds or cores. Some, like apple seeds, are actually toxic for birds, so be sure to offer your feathered friend only the edible part of the fruit. Some of the same home-cooked meals you eat are also healthy for your parrot. 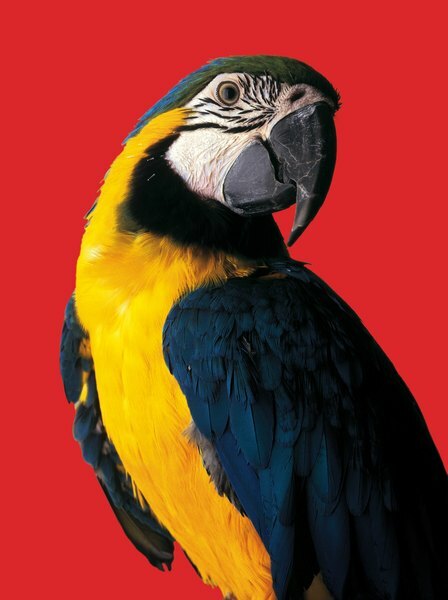 For breakfast, try offering your parrot a few pieces of plain shredded wheat or half a slice of whole-grain bread. Scrambled eggs are also a healthy source of protein, but be sure to leave out any seasoning or cooking oil. Freshly cooked and cooled pasta is a tasty meal; try adding a few pieces of cooked squash or sweet potato for extra nutrition and flavor. Fresh nuts are also a great snack and can be interactive if you leave them in the shell. Avoid roasted, flavored or salted nuts. Some foods in your kitchen are toxic for parrots and should always be avoided. Guacamole may be a favorite snack, but avocados are poisonous for parrots. Onions and shallots are also toxic, so never give your parrot anything containing these tangy vegetables. Chocolate and caffeine are also very toxic, so keep these away from your parrot, too. Human junk food is also junk for parrots. The best rule of thumb is to avoid all processed foods, including chips, candy, crackers and ice cream. The salt and sugar in most processed foods is not healthy for parrots. Where Should I Place My Cockatiel's Cage?